Huggable, loveable Philbin is back, in chocolate and at a very cuddly 12-inches! 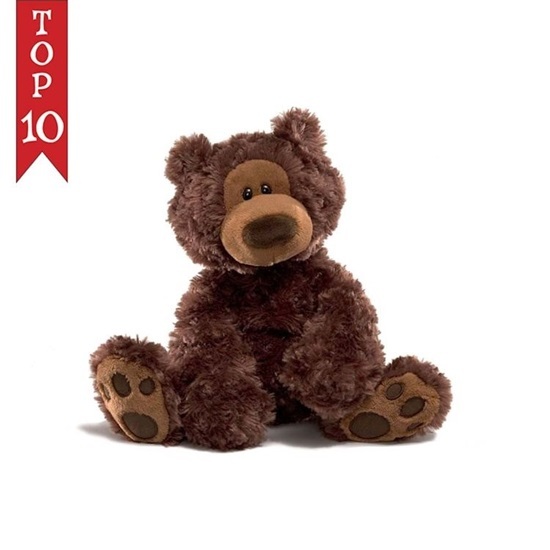 Introducing "Philbin" a huggable, plush chocolate bear from GUND. He is so soft and lovable, he will make a perfect addition to your family. This is a 12-inch bear with chocolate colored fur and and floppy paws and feet with embroidered paw pads. This Philbin is understuffed making him easier to hug and to cuddle. He has dark heartwarming eyes, and a big dark brown nose. He is surface washable and good for ages 1 and up.